Majestic, powerful and proud, the Wolf encapsulates much of what scares us but also what we admire. From an evil presence waiting in the woods to attack unwary travellers to benevolent spirit guides that show us the way. Wolves have woven in and out of our fairy stories and legends for centuries. 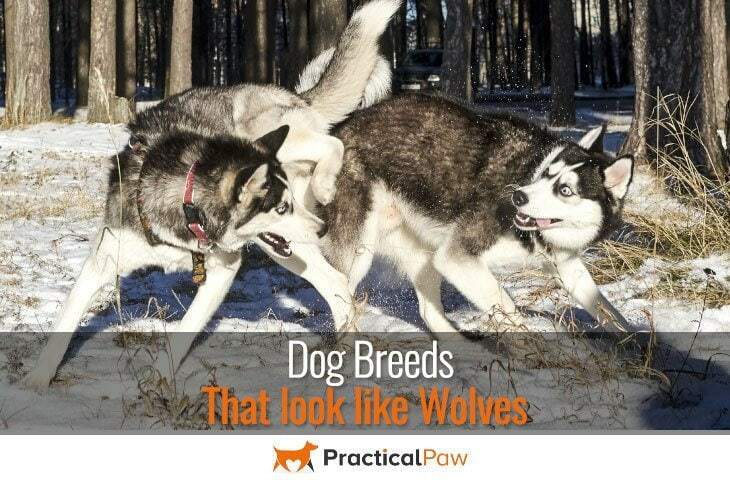 Our fascination with the Wolf has led to the increase in popularity of dog breeds that look like wolves. Despite the close genetic relationship between dogs and wolves, their behaviour is entirely different. Wolves are not domesticated. They are naturally wary of humans and are a danger to children and other pets making wolves a horrible choice for a housemate. Dogs that look like wolves, however, have all the benefits of a domestic dog but with the wild look of the wolf that people love. However, all these dogs are large, powerful and need plenty of exercise to keep them happy. 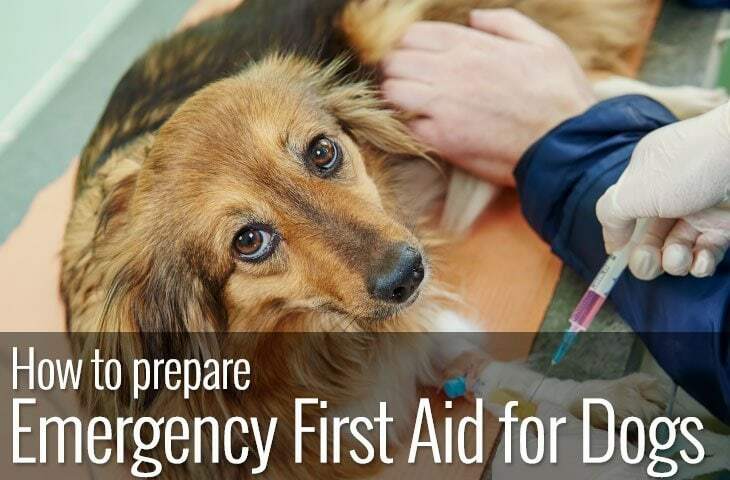 What’s more, depending on the breed, some are more ‘wolf-like’ in behaviour than others meaning that they require special care above and beyond what’s normal for a domestic dog. But, if you love the great outdoors, like a dog with a mind of its own and are indifferent to a home full of fur, then one of these stunning dogs could be your perfect housemate. The desire for a dog that looks like a wolf has resulted in some fabulous dogs. Not only are the following dogs beautiful to look at but they are intelligent, high-spirited and full of fun. If you think you can meet the needs of these demanding dogs here are our favourite dog breeds that look like wolves and what you can expect from each breed. The Malamute has a long history and is believed to be descendant of domestic wolf-dog hybrids. Used as both a hunting dog as well as a pack animal by the Inuit Mahlemut tribe where they originated it’s one of the most ancient of dog breeds. Large and powerful the malamute was bred for strength and endurance. They were used to hunt seal, protect the tribes from polar bears and to pull heavy loads. Despite its fierce reputation as hunter and protector, the malamute is a friendly giant. Affectionate and loyal the malamute is a poor guard dog as they are welcoming to all. Although friendly to humans they are less tolerant of other dogs. Also their high prey drive makes them untrustworthy with other small animals. While accepting of children, their size and exuberant play can make them unsuitable as a family dog. Not only that but their inherent desire to pull means they need a strong owner who is either capable of handling 75-85 lbs of pure muscle or channelling that behaviour into a positive outlet like canicross. 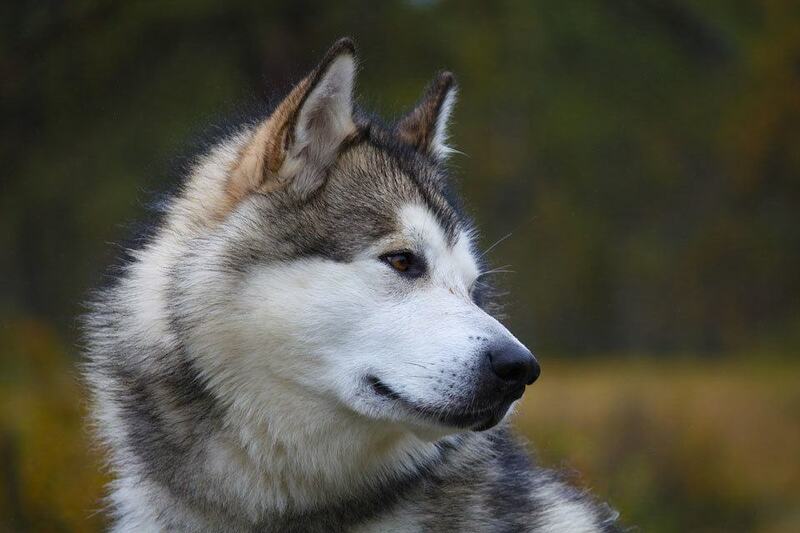 The malamute is an intelligent dog but won’t win in obedience. If they don’t see the point of doing something, they won’t. Independent and curious the malamute is an accomplished digger, escape artist and needs a secure area for off-leash exercise. The origins of the Husky are murky. What we do know though is that they originated in Eastern Siberia and are an ancient breed. The Chukchi tribes of the region valued the Husky as both companions and as a working dog. In fact, the Husky was expected to fill a number of roles including, companion, playmate, hunter and pack animal. They were supposed to hunt for themselves in winter when food was short and to share a bed with the Chukchi children to keep them warm. 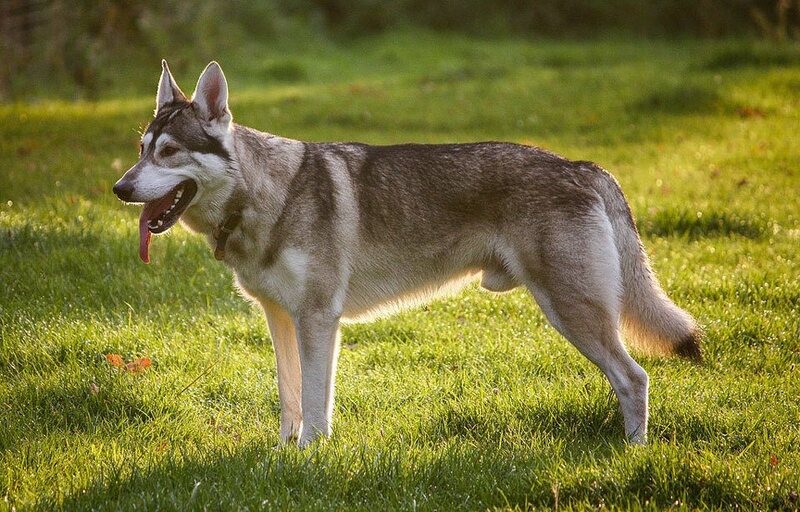 The Husky’s ability to analyse, problem solve and make decisions is a unique feature of the breed and it both delights and frustrates Husky owners in equal measure. Siberian Huskies are intelligent but indifferent to commands they can’t see the point of. They have boundless energy and stamina and are agile enough to escape from all but the most secure area. However, Huskies are also child tolerant, funny, outgoing and full of personality. They are friendly to everyone and often ‘talk’ to their owners on a regular basis. They do, however, have a high prey drive so are not best suited for homes with small animals. 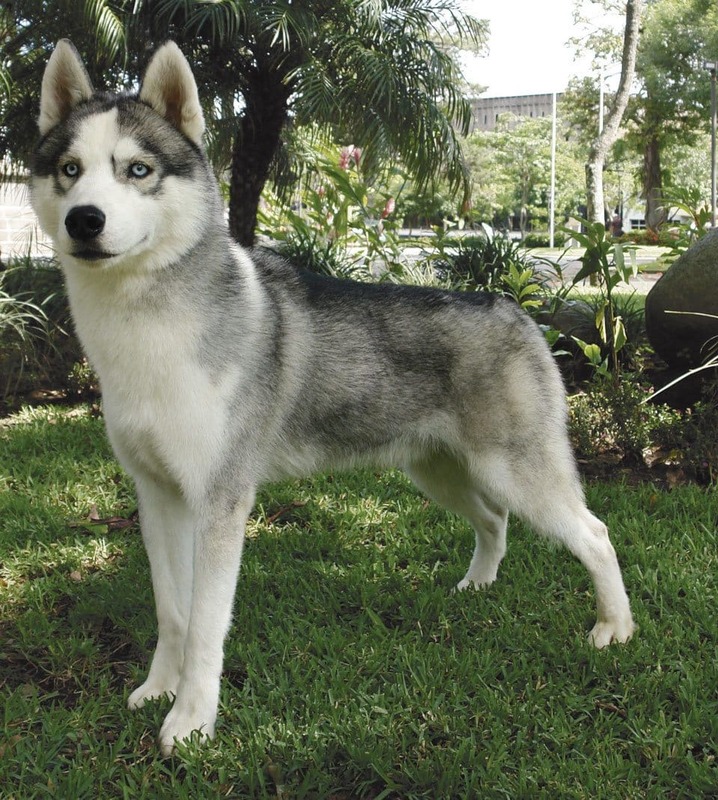 Smaller than the malamute the Husky is a medium size dog ranging between 35-60 lbs. Despite its slighter frame, the husky has boundless energy, exceptional stamina and a love of running incredibly fast. They should never be let off the lead in an unsecured area. Like the malamute, they love to dig, but they are also capable of climbing a six-foot fence with ease. Plenty of physical and mental exercise will keep your Husky happy at home. Unlike both the malamute and husky, the Czechoslovakian Wolfdog (Czechoslovakian Vlcak (CSV)) is a relatively new breed. Created as part of a military breeding program in 1950’s their creator Ing. Karel Hartl wanted to capture the strength, stamina and endurance of a Carpathian wolf with the trainability and devotion of the German Shepherd for military purposes. The first experiments were unsuccessful. The offspring were wolf-like, wary and training was almost impossible. However, once they reached adulthood, these dogs were bred with German Shepherds again reducing the amount of wolf DNA in the Czechoslovakian wolfdog line. The breed was established in its own right and became recognised by the Kennel Club in the UK in 2006. The Czechoslovakian Wolfdog is a versatile, loyal and courageous dog. Social and playful, like the malamute and Husky they are easy to train but are choosy about following commands, especially if they are repetitive. Capable of great endurance and a working dog through and through the Vlcak needs an active family home to channel their energy and intelligence. Ranging between 44 to 57 pounds, they much resemble wolves but with the loyalty of the German Shepherd. If you’re a fan of Game of Thrones, you’ll already be familiar with the Northern Inuit. Cast as Dire Wolves in the first series these impressive wolf-like dogs played their part well. Like the Czechoslovakian wolfdog, the Northern Inuit is relatively new and has yet to be recognised by the Kennel Club as a distinct breed. They first appeared in the 1980’s after their founder Eddie Harrison bred several mixed-breed rescue dogs with Huskies, Malamutes and German Shepherds. He aimed to produce a wolf-like dog but with the temperament advantages of their domestic cousins. Today’s Northern Inuit may still look like a wolf, but they have all the characteristics of a devoted dog. Friendly, loyal and out-going, this placid dog forms strong bonds with its family. They are playful and boisterous and tolerate children well. Despite this they may not be best suited to families with small children because of their energy and size. Ranging between 55 to 85 pounds the Northern Inuit is a rangy, athletic and powerful dog. Like most dogs on our list, they need plenty of physical and mental exercise to keep them happy. 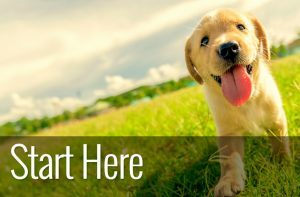 While they are intelligent and highly trainable, these dogs are also independent-minded and will choose when to follow a command. Accomplished escape artists with a high prey drive, they need a secure area to run off-leash. In the right home, the Northern Inuit is a dog in wolfs clothing and is a devoted and loyal companion. The Utonagan and Northern Inuit share the same ancestry. They originated from the same five dogs that were bred to develop the Northern Inuit dog breed. But during 1998 there was a split within the Northern Inuit Society, as to the ongoing breeding programme for the dogs. The “Northern Inuit Society” later became the “The Utonagan Society” and sort to define its breeding programme as separate to that of the Northern Inuit. As you may expect, the Utonagan is similar in size and looks to the Northern Inuit. They are intelligent, independent and energetic and need above average physical and mental exercise to keep them happy. Outgoing and friendly the Utonagan does well in a family environment with older children. Playful and gentle, they are never the less large dogs weighing between 55 to 85 pounds that can be boisterous especially in their teenage years. While the Utonagan’s intelligence makes them easy to train, don’t expect unwavering obedience. 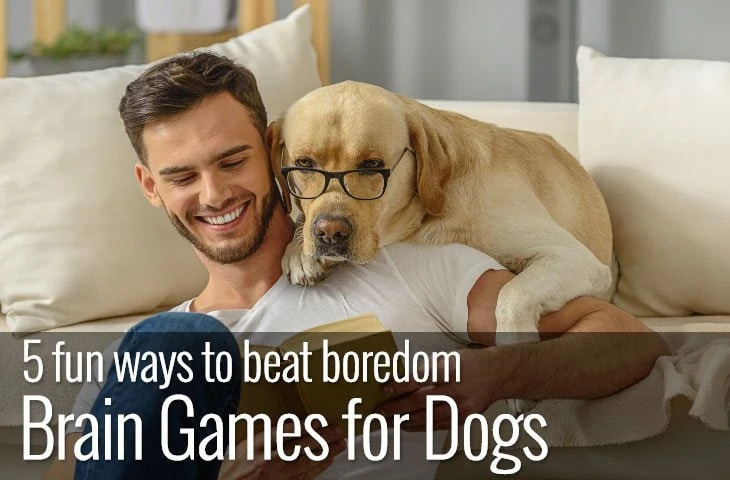 All our dogs on this list can problem solve and make their own decisions, what’s more, they are frequently happy to do so if they think your commands are a waste of time. 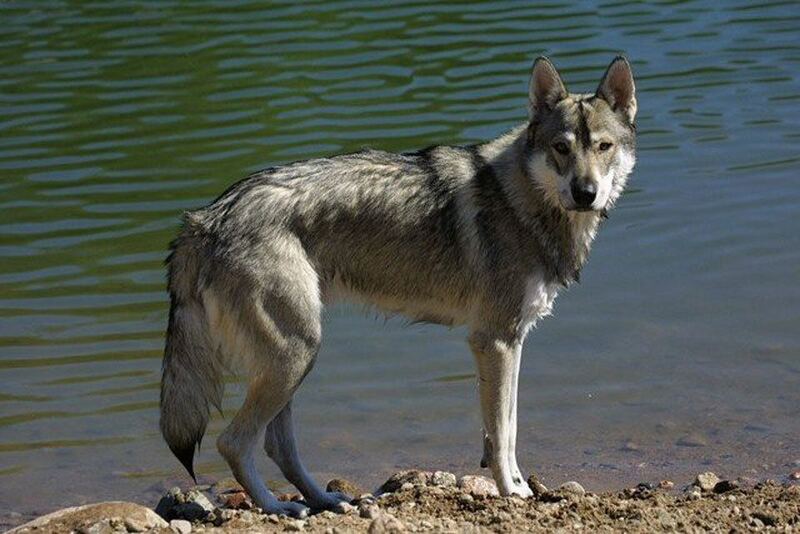 The Tamaskan is another breed that shares its ancestry with the Northern Inuit and Utonagan. The Utonagan Society which was once part of the Northern Inuit Society split again in 2003 becoming “The Utonagan Society” and the “British and International Utonagan Society” which later changed its name to “The Tamaskan Society” in 2006. The Tamaskan Society worked hard to improve the health of what once was the Utonagan breed. Introducing new dogs into the bloodline to improve the gene pool including one-time-only breeding with a Saarloos wolfdog. The resulting breed is friendly, social and laid-back. Intelligent and slightly more agreeable to direction from their owners, they are none the less accomplished escape artists and problem solvers. The Tamaskan needs plenty of exercise, both physical and mental. And although they can do well off-leash ensure that it’s in a safe area where they can’t get into trouble. Versatile and adaptable the Tamaskan makes an excellent companion in the right family. They are gentle and good with both children and other pets (with careful introductions). Having said that they are large dogs weighing between 55 to 88 pounds so may not be the best choice for families with very small children. 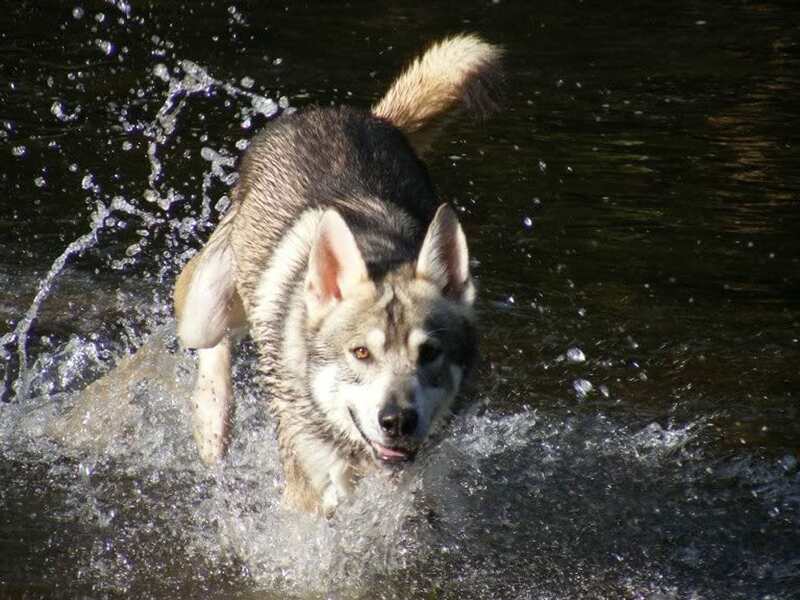 Like their close cousins, the Northern Inuit and Utonagan the Tamaskan is not yet recognised by the Kennel clubs in either the UK or the USA. Although breeders are working hard to standardise the breed and get it accepted. Originating in Holland, the Saarloss wolfdog is a cross between a German Shepherd and a wolf. 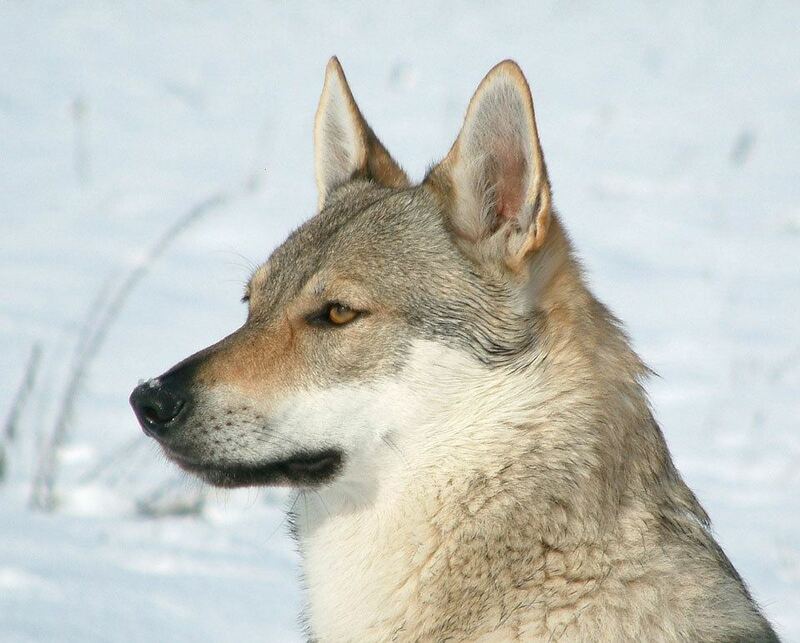 Although today’s Saarloss wolfdogs are a long way and many generations apart from the original pairing, they retain many of the characteristics that Leendert Saarloos the original breeder wanted. Passionate about the German Shepherd but wanting more undomesticated qualities, Saarloos sought to create a dog that had the best characteristics of both wolf and dog. Although Saarloos original cross breeds did not turn out as expected, later crossings were much more successful. Neither the UK or American Kennel Club recognise the Saarloos as a distinct breed, but they joined the Dutch Kennel Club register in 1975. The Saarloos wolfdog is a large, powerful breed, weighing between 70 to 90 pounds. Intelligent, loyal and devoted to their family. They are sensitive, curious and eager to learn. Affectionate with their family but wary of strangers, the Saarloos is not suitable for novice owners. 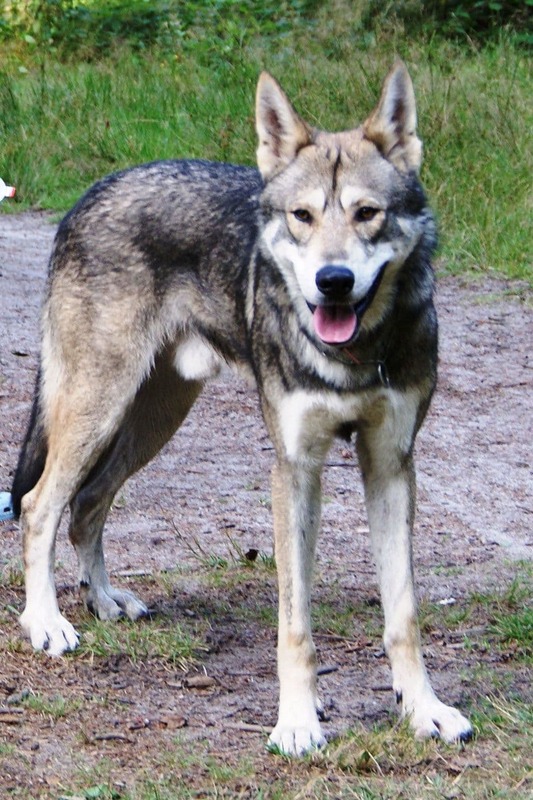 The Saarloos wolfdog is demanding, especially during adolescence and needs a dedicated owner. As with all our dogs on this list, the Saarloos wolfdog needs plenty of physical and mental exercise. They are adept problem solvers and like the Husky are exceptional escape artists. While gentle and generally obedient, the Saarloos does have a mind of its own and is not best suited for households with small children due to their size and exuberance. Retaining a high prey drive, the Saarloos should not be trusted around small animals. If one of these beautiful dogs tempts you, prepare yourself. All these dogs need dedicated owners to keep them happy. With above average physical and mental exercise requirements these wolf-like dogs are intelligent, energetic and have independent natures. 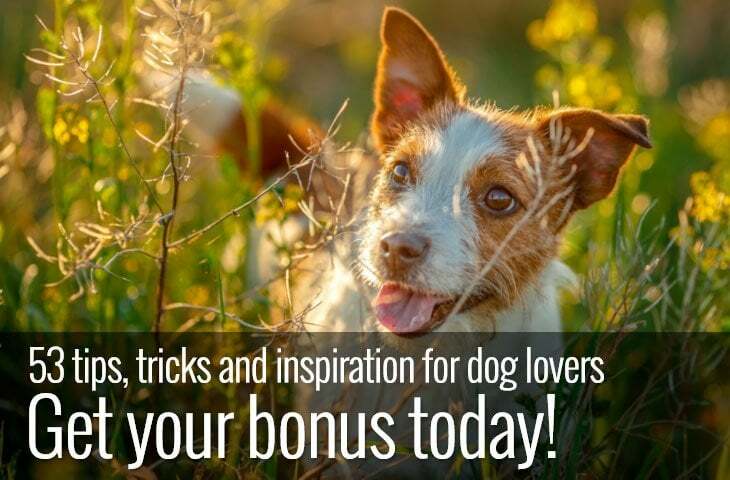 If you like a challenge, love spending time outdoors and have plenty of time to dedicate to your dog these dogs make engaging and devoted companions.